Are there things you desire to improve in your life - relationships, health, happiness, money? Do you ever feel like you're stuck in a negative whirlpool, and feel overwhelmed? Do you want to know how to stimulate whole brain thinking—instead of just using only part of your brain? Would you like to learn a way to rapidly control your mental and emotional reactions when stressed or when change hits? Do you think it would be helpful to know a strategy to better handle negative people? In this program you will learn all this and much more. 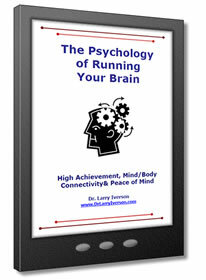 Master these skills taught by Dr. Larry Iverson in this amazing book, and create a better life for yourself. Copyright © by The Institute for Advanced Development, LLC. All rights reserved. Unauthorized reproduction is prohibited.